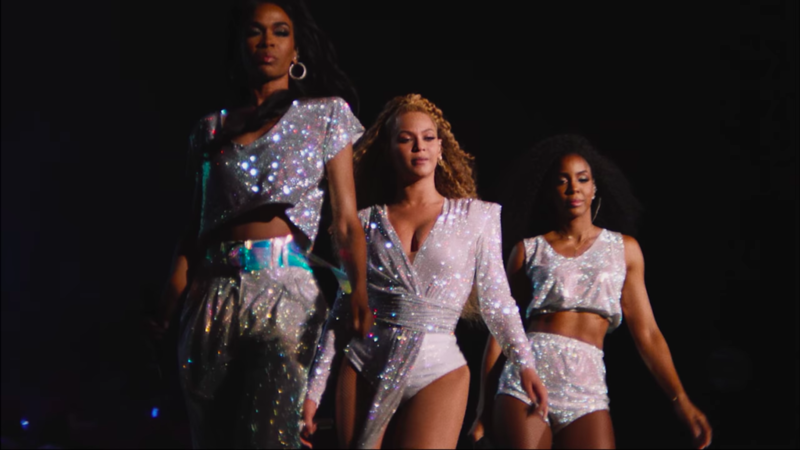 HOMECOMING: A FILM BY BEYONCÉ on Netflix meets the greatest entertainer of our time at Coachella, arguably one of the whitest festival stages in America. And what does she do? She brings her Blackness with her. Crucial Conflict. The Divine Nine. A Timbaland remix featuring Static Major. Houston. “It was more important that I brought our culture to Coachella,” she states about her approach. The documentary film takes us behind the scenes of her 2018 Coachella performance which was so bright that this year’s festival seemed to pale in comparison (no pun intended). Now, detractors and critics may say that it’s just another show, another spectacle, that this is just another performance. How can that make an impact when there are real issues going on? How can that make any difference in how we are viewed in this society? To that, I’d ask this: But who else can do what she’s done? Who else would give Historically Black Universities and College students, young Black mothers, outcasts and misfits of the mainstream, this festival sized shine? Who else could air out Malcolm X quotes about the Black woman’s position in America to a crowd of 125,000 people? As Black people in America, we know just how important our art is to preserving our culture and our history in this country. To dismiss that and to deny that would be disrespectful. In our art and music, we carry pain, joy, freedom, protest, and strength and we carry it on to the next generation. With this Netflix film, Mrs. Carter has added her piece to that legacy, solidifying her throne in Black music. 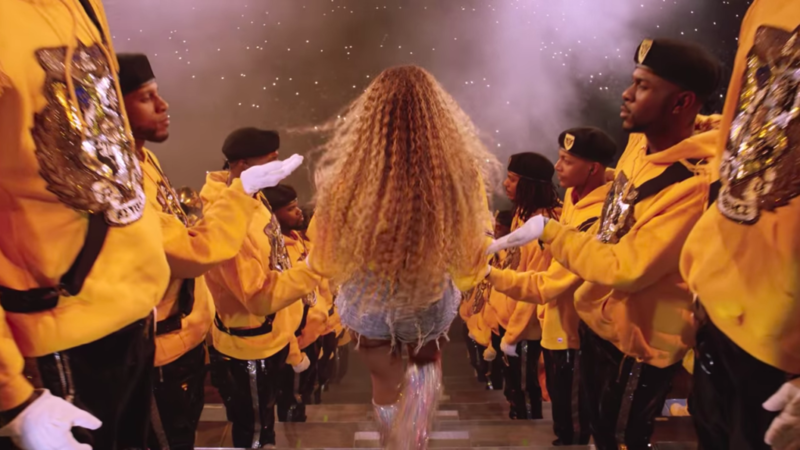 Coachella may be as mainstream as it gets but her 2018 performance, forever known as Beychella, was for US. Here are the reminders we’re taking away from Homecoming. We are privileged to be #blkcreatives during a time such as this. But our privilege is also a responsibility and a commitment to our past, present, and future. It’s not exactly easy to be Black in America, it’s something that we become aware of the moment we’re born into this world. But as a young Black woman whose great grandmother came to Mississippi in a boxcar from the Carolinas, whose grandmother did not make it past the third grade, whose mother never had a chance to go to college, I’d say it’s a privilege to have to stress over running and building my own small business while building the brand you’re currently reading. Yes, we’re still dealing with the same injustices that our grandparents marched and died for. There’s a myriad of issues and challenges that are also arising as technology continues to develop. But our grandparents did not have many options, let alone the Internet at their fingertips every single day. The least we could do is pay homage to the people who’ve sacrificed for us to be called Creatives in the first place. Beyoncé sang the Black National Anthem like she was singing it directly to our ancestors. In the middle of the desert, the world’s biggest star, shared our freedom through our joy while highlighting our struggle. #blkcreatives do the work that’s in our souls, we honor our past, present, and future, and we are united together through our love, commitment, and the pursuit of freedom. No one is immune from the process, you can not escape or avoid the work. Doing the work is an essential part of your growth. The Queen kicks off the first segment of the documentary with a prayer over the entire crew, stating her intentions for the experience but giving over the glory to God. It’s no doubt that her faith helped carry her through the grueling eight-month process of preparing for this two-night performance. 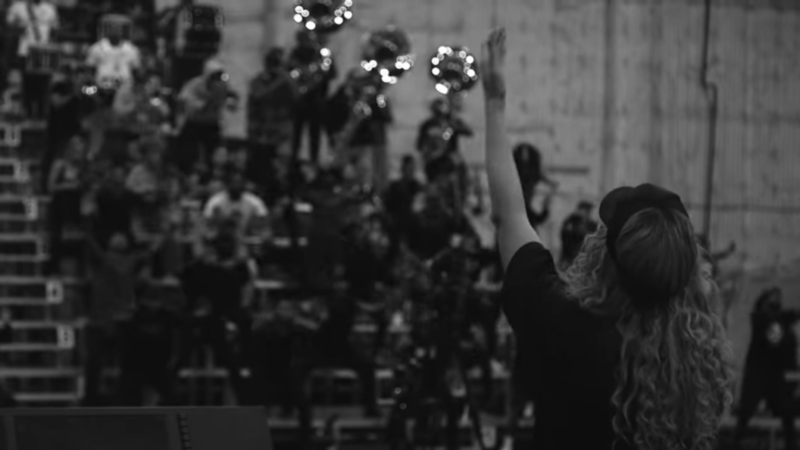 Beyoncé spent four months rehearsing with just the band and the music before another four months of rehearsal with the dancers. She personally picked each dancer, each light. It took months for her and her team to script the show. She worked on her wedding anniversary. Her attention to detail is extremely precise. If after twenty-two years in this industry Beyoncé is not excused from respecting the process, neither are we. To see her study and embrace her past, her triumphant moments, and her mistakes – was a signal that the work continues, no matter what level you’re at. And at the end of the day, she’s only really competing with herself. That’s a strategy that can help keep us all focused while we’re working. And not only does she go through the process, she also EMBRACES all of it. She pushes herself through the tough parts. She celebrates her wins, even the seemingly small ones. Watching her go through it is a reminder that we can and will work hard but we can also be present enough to appreciate and enjoy the process. Your work should create a home and haven for yourself and that, in turn, will build a stronger foundation for others to join you. One of the most heartwarming things we see throughout the film is her vulnerability with coming back to work after being pregnant. We watch the hardest working woman in the music industry grapple with her own confidence and connecting with her body, not to mention the sacrifices she made being away from her three young children. We watch her be hungry. We watch her feel insecure. But ironically, as she’s preparing his homecoming-themed show, Beyoncé shares that she’s also creating a homecoming for herself. After having gone through a life changing experience and not feeling like herself (sound familiar? ), she lets her purpose guide her back to alignment. The pursuit of her dream and purpose, allows her to grow more into who she’s meant to be. It’s a hard process but once you’re right within yourself, you’re able to help and make space for so many others. You can be about your business and still be a good person and show love. There’s so much love in this documentary that in the coming weeks when our favorite #blkcreatives write about another one of our heroes and her work, we’ll still be uncovering all the many layers of it. Mrs. Carter owns her business. Her art. She also owns how she manages both, unapologetically. But one thing I love about her is how much she loves her family and how that love sets her creativity free and allows her to also spread love to those around her. She happily shares her stage with a 200+ member team and her sister, her friends, and her husband. And what says love to Black people more than the credits rolling with a Frankie Beverly and Maze cover? Beyoncé is the epitome of our new favorite mantra, ‘Make your own rules’. When we see her rise, we rise, too.